Steve is an amazing facilitator. He brings this wonderful combination of humility, hospitality and insight to conversations that matter in education. As facilitator of a panel discussion (that included the audience voice as much as the panel), Steve started the conversation with this provocative question. We talk "empowerment", but do we walk "control" in our schools? This started an hour of idea fireworks that was one of the highlights hours of the conference for me. If you’re looking for an ed-tech leader with street cred, Steve Hargadon is your man. If you were to ask the library geek tribe, if you were to ask the edtech community for a list of their heroes, my guess is that Steve Hargadon would be on the top of both lists. Steve is largely responsible for the entire unconference movement in education and the library world. He is largely responsible for largest professional education communities around the world.... When I reach out for a professional collaborator, Steve steps up. Steve created and backed nearly every network I to which I currently belong. He generously supported our Teacher Librarian Virtual Café and our national #Somewhat Virtual BookClub. His international Library 2.011 successfully gathered librarians across professional divisions—school, public, academic, special—and across national boundaries, in one of the most exciting, free, archived events I can remember in my 35-year career. But. . . Steve is not a librarian. He is not a teacher. Steve is a connector. He is a bridge. He is a lifeline. He takes the lead. He gets things done. Quite simply, Steve Hargadon is a humble, kind, unsung hero who makes a difference in the lives of educators worldwide. Steve Hargadon is one of ed tech’s highest-profile leaders. He’s the founder of Classroom 2.0, a community-supported social network for educators and others interested in Web 2.0, social media and participative technologies in the classroom; host of The Future of Education interview series, which provides thoughtful online discussions about teaching and learning in a networked world; and the chair or co-chair of several industry events. His eponymous blog is a tremendous resource for anyone seeking insights on new technologies and their impact on K–12 education. 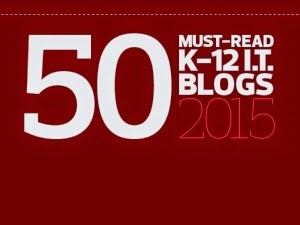 EdTech Magazine, "The Honor Roll: 50 Must-Read K–12 Education IT Blogs"
The feedback we received was fantastic. Two of our attendees said it was the best presentation they had ever heard at a MASBO event! I just wanted to officially thank you for your amazing presentation at our recent conference. The feedback from attendees rated it one of the highest of all the discussions and people found it informative and inspiring. Thank you again for bringing thoughtfulness and depth to our discussions. Thank you so much for presenting at DENSI. Attendees AND staff were inspired; you really set the tone for the day. May I just say that you are one of the smartest humans I know. 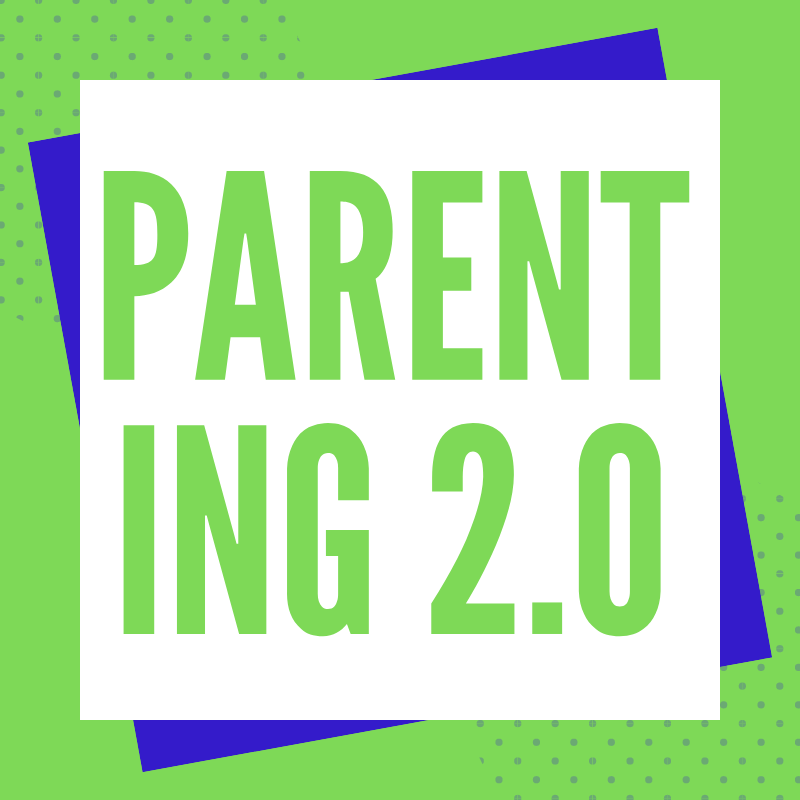 Your well-spoken arguments for the use of Web 2.0 have driven adoption and innovation in so many ways that you deserve an ongoing standing ovation. Thank you for being there for us, for Classroom2.0 and all its other iterations and spin-offs, and most of all for your leadership. Scott Merrick, commenting on "Moving Toward Web 2.0 in K-12 Education"
Steve is one of the most influential yet understated individuals in the world of Education. He gives thought leaders a widely attended global platform to voice their ideas to transform Education, and he does so with tremendous respect and intelligence. He is a cogent analyzer/synthesizer of educational technologies, where he goes beyond the hype into the reality of what EdTech can/cannot deliver. Finally, I want to tip my hat to Steve Hargadon, who exhibits infinite patience with me and the rest of this group. He is a man of incredible character and wisdom, and again, I am lucky to know him and work well with him. Looking forward to many more adventures with global education! I believe that Steve Hargadon is the best community builder in education. He understands how to stay tapped into the pulse of a grassroots movement while not trying to force or manipulate the conversation. He's like caffeine in the veins of the living, vibrant community he creates, facilitates, and nurtures. 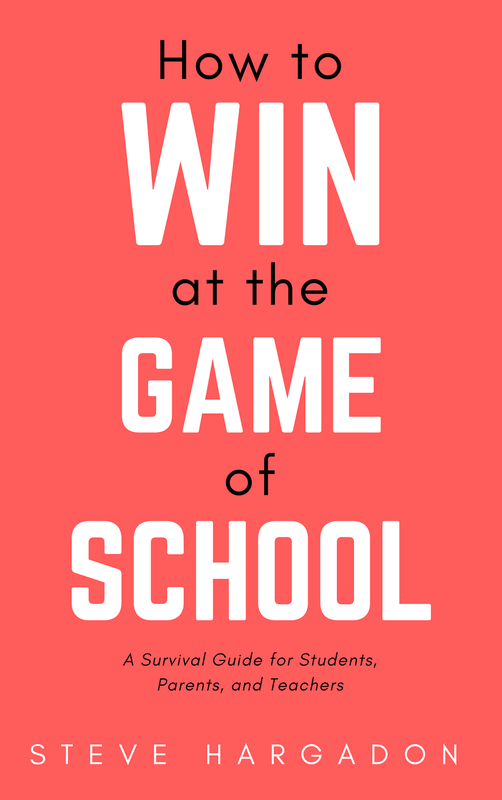 He promotes progress by finding creative win-win scenarios for everyone involved. I believe whatever the future of education is, Steve is an opinion leader that will be part of it. 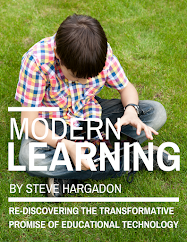 Steve Hargadon is a visionary leader in the area of education and specifically in the use of emerging technologies to create communities of learning. He worked tirelessly on the development and implementation of the Global Education Conference while maintaining very clear ideas of how this should work globally. In addition he is a great communicator and has a much coveted ability to work with others and inspire commitment and change to support better practices in education. I have no hesitation in recommending him for an award as I believe he is an outstanding leader, a compassionate visionary, and a global citizen with an astute perspective for what the future should look like now. Lucy describes professional generosity in her TEDx talk, but mostly she and Steve just live it. Professional generosity drives Twitter chats, from #edchat to #kinderchat, as well as community like Steve’s Classroom 2.0, Edmodo, and most online educator communities. It acts as the antithesis of the outcompete-the-world, zero-sum message US educational system promotes at all levels. Also like GitHub, Steve and Lucy have a bootstrapped community built for an “infinite runway” for teaching and learning, rather than quick success or quick failure. Although it may not seem like a community that will garner much attention from super angels, Lucy and Steve’s 365/24/7 “anytime, anywhere” global teaching and learning community is the right model—scalable, sustainable, impactful, and with a killer ROI, if you want to wait a generation to measure it. In the years of contributing and following Distance Learning/Education I have found Steve Hargadon's leadership in the first ever online International Global Education Conference truly significant and exceptional. Steve's leadership provided aworld-wide distance learning opportunity to thousands of educators, as well as set up networks of collaboration for these educators, and has provided a working model to others -- a huge contribution. In being part of this effort, I witnessed Steve's exceptional understanding and capacity to bring about the myriad of ICTs (information and communication technology) for organizing all the people contributing to and attending the conference. He made sure there were frameworks for organizational issues, such as spreadsheets, Google docs, wikis, etc. He was attentive to the challenge of international time zones, and made sure there were effective time zone converters and scheduling programs. His commitment to a truly global distance learning opportunity meant a greater challenge which was adroitly handled. His contribution to ICTs for such online programs, and especially international programs, is a tremendous boost to distance learning that others will be able to now use. I want to note that the technical challenges Steve was willing to take on also included setting up mentor/mentee connections for individuals unsure of how to access the conference; as well as for those who wanted, but were unsure how, to network with others to set up collaborative online learning projects. With any online learning program, setting up assistance for those unsure how to navigate through the ICTs is both needed and compassionate. Leadership requires skillful use of ICTs. Steve's professional courtesy given to everyone was outstanding; before, during, and after the conference. His personal leadership set the high quality of inclusive and collaborative interactions. Though there were technical glitches, people glitches, and organizational glitches; I cannot speak highly enough for Steve's leadership in dealing with these. He modeled the very best of handling what can go wrong in an online/distance learning situation. Thanks to Steve's leadership in developing this worldwide online program, educators and educational administrators from all over the world have a model of a successful global online program; and many are now collaborating (including our Educational Institute). I do not know of any previous online program with the scope and magnitude of the Global Education Conference. I do know that many can now successfully follow due to Steve's outstanding leadership. This document attests to the outstanding, visionary and innovative leadership in distance learning as demonstrated by Steve Hargadon. Four years ago I joined Classroom2.0 (http://classroom20.com) an online social networking site, created by visionary Steve Hargadon, aimed specifically at connecting global educators, enabling them to network, share learning and innovative teaching ideas/experiences, and bring about transformation of education with technology. When I joined there were 3000 members. Today there are 52,497 members bearing testimony to the success that this global classroom has had. However, first, let me introduce myself. I am Anne Mirtschin, a secondary teacher in south east Australia, at a small, rural prep to year 12 school- Hawkesdale P12 College. My school is culturally and geographically isolated with no mobile phone service, situated in a small town of 150 residents where 98% of students are bussed in to school from outlying farming areas and small feeder towns. Through my membership of classroom2.0, I have made some fantastic contacts who have worked with me in virtual teams, shared global, collaborative projects, taught me and my students how to use some of the web2.0 tools. Learning is empowered in my classroom. My students have been part of amazing innovative events that have connected them to many students and classes around the world egRussia, Asia, Europe, Middle East, USA, Canada, New Zealand etc. My students and I are no longer isolated but at the centre of the globe allowing us to learn anywhere, anyhow and anytime. Steve makes himself available during his waking hours through chat on Classroom2.0, skype, gtalk etc and is always ready to mentor, answer queries, solve issues and help us learn together. Through his association with Elluminate, Steve has worked tirelessly via Learncentral (http://learncentral.org) to enabling educators access to a free individual virtual room for their own use, plus a bigger conferencing room where free, online webinars can be held for any number of people interested in teaching and learning. Several times a week, Steve sends out emails alerting global members of his many networks to the webinars being offered, including his popular series “The Future of Education”. This means that no-one is disadvantaged by time, distance and cost. Those interested in education simply need access to a computer and the internet to join in these webinars, ranging from discussions, presentations to student summits. These webinars are accessible to the globe allowing educators from any country to participate. If time zones are a problem, these sessions are recorded for future reference. Steve encouraged Carole McCulloch and myself to organise an “Australia Series” in elluminate, in Australia friendly times. To our surprise, we have had a global presence for our popular webinars, including participants from Iceland, the Middle East, Africa, Asia, Europe, China etc as it is a friendly time for them as well. These participants have come from all tiers of education, sharing many conversations. In September 2010, the impossible became possible when Steve co-founded and organized the amazing Global Education Conference (http://globaleducationconference.com). This conference ran for 6 days, 24 hours a day with presenters, keynote speakers and students from all over the world coming together in the virtual classroom to share their learning. Prior to the conference a vast network of mentors, moderators and presenters etc were setup under Steve’s direction to ensure that all went well and enable as many countries as possible to be represented from all tiers of education. There were cross education strands, including a student strand. This also ensured that the learning and networking would continue beyond the conference. One of the most inspirational sessions that I attended in the Global education Conference, was one from Kenya, where four teachers from that impoverished African nation, using the English language, shared a laptop (the only one they had access to) to tell us proudly in elluminate, not only of the challenging conditions for learning and teaching in Kenya, but also how they had connected students to classes in Canada and USA using videoconferencing and this one laptop. Their moderator was in the USA and their participants in a number of continents. As part of the global conference, my students participated in the Flat Classroom Project Student Summit with Julie Lindsay’s class from Beijing, China. These classes shared their learning, mentored each other, sought advice from each other in the presence of global teachers and community members who were part of their virtual classroom – a highlight of the year for my class! These students will make responsible digital and global citizens due to their experiences and thanks to the efforts of Steve Hargadon. Throughout this conference, Steve was always available, even in my Australian daylight hours (which are opposite to USA) to help the presenters, moderators and participants with any issues/problems ensuring things were okay and running smoothly. Back to my classroom - the processes that Steve has put in place for networking and for global interactive education, means that my students have shared cultures, customs, opinions etc using many different online tools with classes from Asia, Europe and USA in both synchronous and non-synchronous time. My year 11 computer class has linked up with a Malaysian class, where English is their second or third language, using elluminate. On a Tuesday morning, 11:30am our time for 5 weeks in 2010, we would meet in elluminate and work as one class sharing ideals, knowledge, cultures, countries finding many similarities etc. They shared a whiteboard, chat, audio, emoticons and interacted/learnt from/with each other. It has also meant that parents from my school have been able to meet virtually in elluminate, using the room through Learncentral, with our and a number of our school staff sharing the learning that has gone on in our school and classrooms. Steve Hargadon is a man with an amazing g vision for education. But this vision is being put into practise achieving outcomes that many would say is impossible. Learning can take place across any distance using the technology that Steve has set in place and encouraged us, the global educators, to use with innovation. I am writing this letter to nominate Steve Hargadon for his efforts as an Outstanding Leadership by an Individual in the field of Distance Learning. Steve has been instrumental in supporting colleagues in the area of distance learning and hosts webinars interviewing educational leaders as part of his ‘Future of Education’ webinar series created to promote and affect change by leading conversations centered on various aspects of online/distance learning. Steve’s passion for promoting distance learning and helping others grow professionally in this area were most evident when his vision for supporting distance learning/online learning came to fruition with the 2010 Global Education Conference. (GEC) In early 2010, Steve shared with me this vision of creating a conference that would provide a platform for distance learning professionals to share ways each supports, designs and delivers distance learning sessions. The Global Education Conference consisted of five days of sessions scheduled around the clock with presenters and attendees from just about every continent sharing best practices for designing, delivering and supporting a variety of aspects of distance learning. This conference, spearheaded by Steve Hargadon, inspired distance learning professionals to share with the world the way they motivate, educate and collaborate with other distance learning professionals and students around the globe. There has never been a conference of this magnitude, that was free and open to the public and that reached as many people around the world. With over 300 sessions scheduled, the sessions and information shared will live on indefinitely through follow-up conversations, distance learning sessions and the viewing of presentation recordings. Without Steve’s leadership and direction, this conference would not have happened and the monumental positive impact on distance learning would never have taken place. As a result of the GEC, distance learning has never had as large a voice online or a venue for as many educators to showcase the significance and importance of distance learning. As a passionate distance learning professional myself, I am forever changed and grateful for Steve for all that he has done to foster and support distance learning professionals around the world and this conference is just the latest in Steve Hargadon’s efforts to affect change and promote online learning as a credible, viable source of education. In conclusion, I wholeheartedly nominate Steve Hargadon for USDLA’s Outstanding Leadership by an Individual in the field of Distance Learning evidenced by the 2010 Global Education Conference and Future of Education webinar series. Steve is dedicated to helping educators grow personally and professionally and selflessly reaches out to anyone who has need of his talents and expertise. Although still in the beginning stages, I credit much of my success online as an educator and professional development provider to Steve for his continued support, leadership and direction of my ventures. Educators around the globe benefit daily from Steve’s exhibition of talents and knowledge as a professional in the area of distance/online learning and I am grateful for all that he has taught me.